Have you ever dreamed of controlling your home simply by waving your arms around, á la Matilda? Well Samsung's latest patent will let you do just that, turning your Samsung Galaxy Watch into a gesture remote for your television, or other smart home gadgets. The patent, uncovered by Patently Apple, relates to using a future Galaxy Watch to control smart home devices with wrist gestures. That could be anything from changing the channel on your TV and starting the washing machine, to changing the temperature on your thermostat. All by simply waving your watch around. It could potentially be very useful for people with limited mobility, who might otherwise struggle to do everyday household tasks. 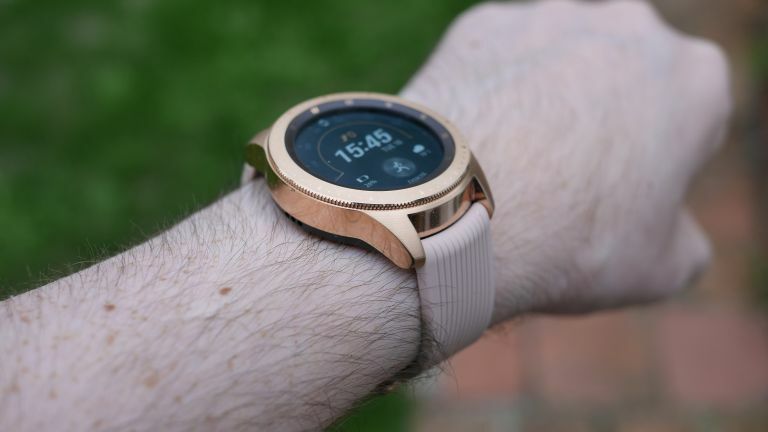 Patently Apple points out that while the focus of the patent is definitely on a future Galaxy Watch being able to interpret wrist gestures from a user, Samsung also lists other devices that could one day use the same technology. These include smart rings, smart gloves, smart bracelets or smart apparel such as a jacket or shirt. We'd love to see this technology in a smart ring, as it's an item which is easy to put on and forget about. The patent was submitted in 2015, and granted by the U.S. Patent office earlier this year. It's worth noting that companies patent a lot of ideas, and while some do eventually make it to consumer devices, many are forgotten about, and never see the light of day.